Driving along the country roads of rural County Wicklow, I began to wonder not for the first time if I was heading in the right direction. I kept passing beautiful farms and quiet little estates, a perfect place to call home really. But then, almost out of nowhere erupted the tranquil Macreddin Village and my ultimate destination for the day, the BrookLodge Hotel. Working with Tourism Ireland to showcase the width and breadth of experiences found in the region known as Ireland’s Ancient East, I was excited for my visit. I was excited to share more about the modern elements found on this tourist route, to share some of the amazing retreats found all around Ireland really and, maybe more than anything, to showcase what my research had told me was an incredible luxury experience unlike any other in Ireland, the BrookLodge Hotel at Macreddin Village. The village itself is an ancient one, going back to the days of Saint Kevin, a 6th century monk who hermited himself away in a nearby cave. More than twenty years ago though the hotel and associated businesses opened, revitalizing the area and making Macreddin Village an easy to reach and ultimately very relaxing retreat in the beautiful rolling hills of rural Ireland. Today there’s the hotel of course as well as a golf course, shops, microbrewery and so much more, creating a destination unto itself. I visit many luxury getaways in my travels, but I only share here on the site the ones that I think are extra special. Places that go above and beyond the normal experience to create something truly remarkable. Such is the case at the BrookLodge Hotel for these reasons and so many more. Ireland’s largest Geo-Thermal Hotel Heat recovery system that heats both swimming pools and gives the wood chip burners a kick-start with 30 degrees of temperature virtually free. Since 1999, well before streaming waste became ‘mainstream’, the BrookLodge was encouraging its waste collection companies to accept separated waste for recycling. Now the hotel has 15 streams for waste. Bio-Digester that turns diner’s leftovers and kitchen waste into usable compost in only six weeks. And so many more ways, including the toiletries and even tissues found in my mezzanine suite. Which brings me to the luxury aspect of sustainable luxury. While I applaud the commitment towards not negatively impacting our planet, at the end of the day I want a relaxing and luxurious experience wherever I stay. Almost immediately I knew I had found something special in the BrookLodge though, from the gardens and public spaces to an amazing suite. Their New York-style loft suites are large, comfortable and include all of the amenities I would expect in any world-class hotel. Add to that amazing service and a certain feeling of exclusivity, and the entire experience is something truly special and totally unique. Both the air of elegance and sustainability carry on to what is the highlight of the BrookLodge experience for most guests, dinner at the world-famous Strawberry Tree Restaurant. As the only certified organic restaurant in Ireland, The Strawberry Tree has managed to do the impossible – change people’s minds (including my own) about organic cuisine. I’m a true meat and potatoes kind of guy and while I have no problem with locally sourced, fresh and organic foods, I don’t always associate them with things that actually taste good. My tasting menu dinner at The Strawberry Tree forever changed my mind on that, a culinary experience that now ranks amongst my all-time favorites. The ingredients all come from local farms and are even foraged by the restaurant’s resident forager, which is a first for me. 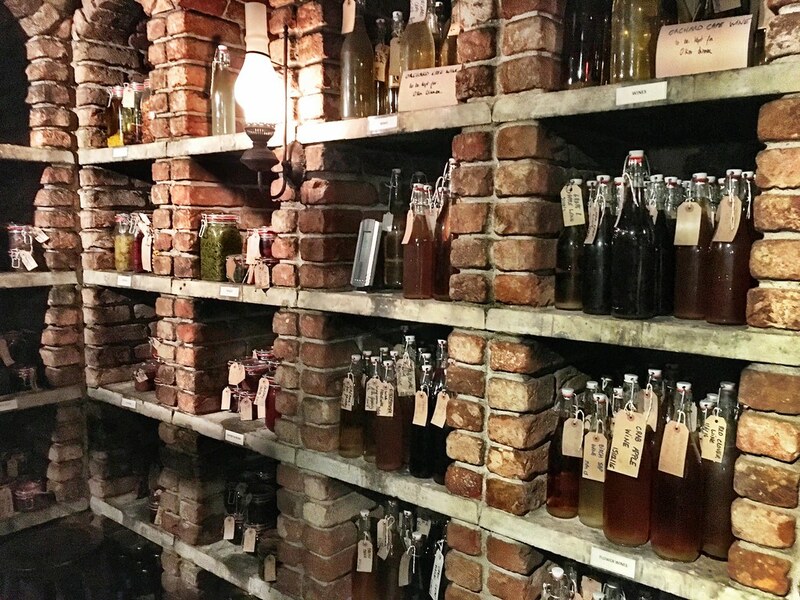 They maintain the quality of the food throughout the year in a variety of ways, including their walk-in Wild Foods Pantry, where a wide assortment of ingredients are stored, pickled and otherwise preserved to use throughout the year. It’s also where the incredible Irish cheeses and smoked meats are housed, making this the pantry of my dreams. 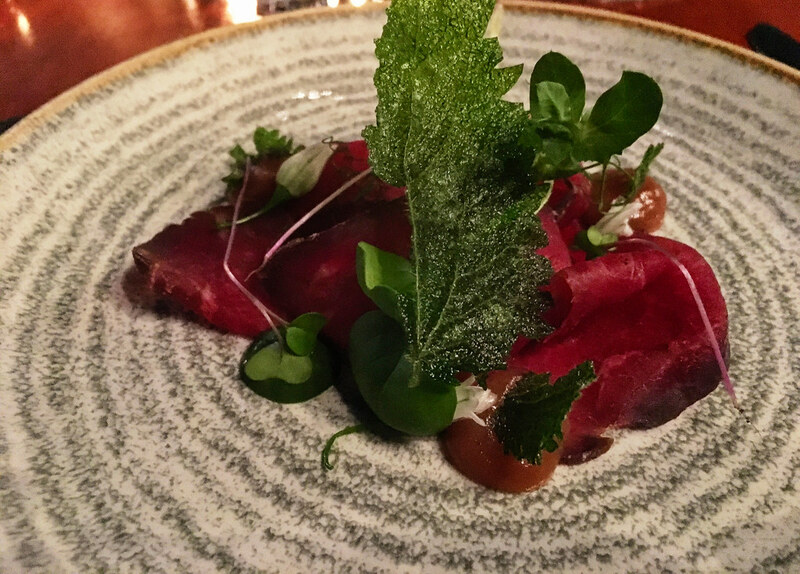 The dinner experience itself was what I’d expect from any Michelin-starred restaurant, but not necessarily from a quiet restaurant in the middle of the Irish countryside. And I’m not the first to realize the exceptional quality of the cuisine; The Strawberry Tree has become a pilgrimage site for foodies from around Ireland and even the world. In all honesty, I would return to The BrookLodge in an instant just for the promise of another incredible dinner. The BrookLodge Hotel and Macreddin Village have become a destination in their own right thanks to the width and breadth of things to do both on-site and nearby. Walking around the grounds I was struck by just how perfect it all seemed. This is the country manor we all dream about, it’s the pastoral retreat to assuage those stressors of daily life and to escape, if only briefly, into the countryside for some much needed rest and relaxation. One of the many highlights of the guest experience is spending some time in the Wells Spa, which uses natural springs found under the BrookLodge for the treatments at this relaxing facility. Wells Spa truly is a destination spa featuring thermal baths, a Hammam, flotation rooms, mud chamber and so much more. Days could be spent relaxing here, adding to the overall feeling of tranquility at the property. Macreddin Village is also well located within County Wicklow including close to one of the region’s major sights, Glendalough. Meaning the “Valley of the two lakes” in Irish, Glendalough is a popular getaway for a few reasons, namely a certain St. Kevin. A 6th century hermit who actually lived in the caves above the Upper Lake pictured here, a large pilgrimage site popped up nearby in his name a couple of hundred years after his death. Today the chapels and towers are largely in ruin, but make for a fantastic visit. Glendalough also lies within the massive Wicklow Mountains National Park and there are bunches of walking and hiking paths for all levels, even if you just have an hour to spend meandering along the green paths. Spending a couple of hours exploring, this lake was one of the highlights of the walk – I think I was just so surprised to see it that I immediately loved it. But the entire site, from the monastic ruins to the hikes are worth a visit to see and experience a more natural side to Ireland’s Ancient East. No matter how you choose to enjoy your time at The BrookLodge Hotel and Macreddin Village, I know that you’ll leave feeling as content and relaxed as I did, and just like me you’ll be plotting your return before you even leave. Looks like a place that is thoroughly Ireland inside and out. Great pics!